By Paul Watson on June 9, 2018 . As those of you who follow me on Twitter will know, the book of my England’s Dark Dreaming series of drawings is now available to pre-order. It’s due to be published in early/mid August priced £14.99, but pre-orders are available now at the discounted price of £12.99 (both prices exclude shipping, but shipping is free in the UK). 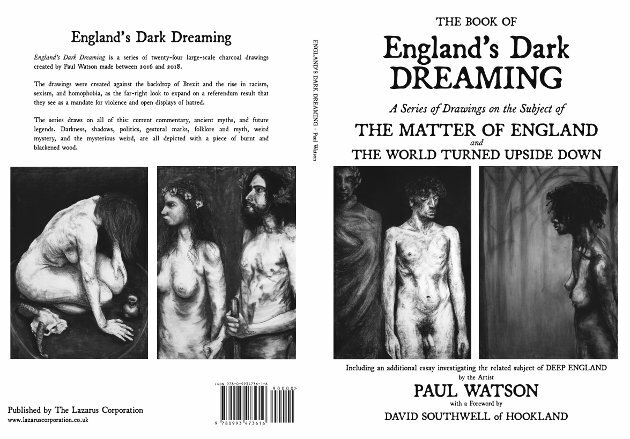 The book will be an A4-sized (297mm × 210mm, or about 11.69ʺ × 8.27ʺ for those of you in the US) paperback and will contain high-resolution copies of all twenty-four England’s Dark Dreaming drawings, along with a short essay about the series and assorted pieces of text about each drawing. I’m also including a much-extended and revised version of my Deep England article, and David Southwell of Hookland has kindly agreed to write a foreword. 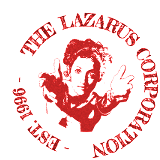 Since I’m self-publishing this (the Lazarus Corporation serves as a publishing house, amongst many things) the pre-orders are really important to me because they help subsidise the printing costs and they also give me a really clear indication of how many copies to get printed. Since printing costs per copy decrease as the print run gets larger, getting quite a few pre-orders is also really important financially. If you can, please pre-order a copy! England’s Dark Dreaming book by Paul Watson is licensed under a Creative Commons Attribution-ShareAlike 3.0 Unported License.